I grew up in the Midwest in the days of black and white TV, which my parents couldn’t afford, but my grandparents (who lived next door) could. Later, I could afford color TV. Suffice it to say, unlike the present generation, who do not really watch television, I have watched a lot of it in my lifetime! I have learned that almost all the advertising you see should be suspect, until proven otherwise! It’s called caveat emptor – buyer beware! So when I see an ad, like the one for PC-Matic, my technical radar is in full force! Protection from Malware, Viruses, indentity theft, etc. is extremely important today. Fortunately, Microsoft is doing a much better job now with Windows 10. Now, Windows 10 may be providing as much security as you need built right into the operating system. The biggest cause of infections, in my recent experience, are caused by lack of vigilance by computer users – making mistakes by clicking on things they shouldn’t and inviting the “bad guys” into their computers! You can count on IT Larry for advice on your computer security, just email, text, or call!! The World Wide Web started becoming increasingly popular in the 1990’s. Now, the Internet is vast and global. The Internet of Things refers to the connection of multiple devices, ranging from computers to mobile devices to homes, buildings, security systems, infrastructure devices, vehicles, etc. Whether you are an individual, using your smart phone, laptop, or desktop, or a member of a large corporation, government entity, or other large group of people, the Internet literally connects you to the rest of the world! According to Statista.com, in 2018 there are 23.14 billion connected devices, and by 2025, that number will grow to 75.44 billion. So caution is the operative word. With increased of use of the Internet comes increased interconnection, communication, dependency, possible intrusion, and security risks. The benefits should outweigh the risks, but security becomes more and more important. It is critical that we all pay more attention to how, when, and for what purpose we allow the Internet into our homes, our businesses, our cars, and our lives in general! Check with IT Larry if you need help and advice!! Windows 10 Updates. Information you should know. How to control when Windows 10 Updates happen. Windows 10 was first introduced in October of 2014 (pre-release version). That was almost 4 years ago!! The free upgrade started in July of 2015, and then ended in July of 2016, when it became a paid product. The difference between Windows 10 and all the previous versions is that it is provided as a SERVICE, not as just another VERSION as was the tradition with Microsoft. That means Windows users get Windows 10 when they purchase a new computer, and from then on it is a matter of just keeping it updated with the latest updates. This is a departure from what Microsoft customers are used to, but makes sense in the world of cloud based technology. Since Microsoft does still have a large base of users with previous versions, then to get to Windows 10 without buying a new device there are paid upgrades. However, once you buy Windows 10, you do not have to “buy” it again, since it will come with any Windows based device you purchase in the future. For the individual Microsoft user purchasing a new computer, an important thing to consider is this: Windows 10 Home is the version for the general population, and Windows 10 Professional is the business version. There are other versions as well for education and enterprise, however Windows updates are AUTOMATIC on Win 10 Home. So, to have any control over when they happen, you must have Win 10 Pro. How many days to delay quality updates. There are articles available that give more information on how to access these options, such as this one from ZDNET. Keep the bad guys out of your online accounts!! Secure your important online accounts with Multi factor authentication – a fancy term for making it harder for someone to impersonate you online in important accounts you access on the Internet through your web browser or your smart phone. Are you doing online banking?? Checking your email online through a web browser? When was the last time you changed your password? Are you using a strong password on your accounts? One extra measure of security for those really important accounts can help keep them safer from being hacked into. It has been around for quite a while, but now may be the time to use “2FA” two factor authentication. What that means is you don’t simply log in to your account with a password. After you use your password, then there is one more step to go through – which is the “second factor.” It is based on another form of identification which only YOU can provide, so an “unknown actor” cannot possibly get into your account without access to the second identity factor. some physical object you have, such as a USB stick with a secret token, a bank card, a key code, etc. some secret only known to you, such as a password, PIN, etc. some physical characteristic you have (biometrics), such as a fingerprint, eye iris, or voice pattern. A common method is to have the account set up to send you a text message or email with a one-time code you enter as the second part of the login process. Here is a Wikipedia link if you want to know a lot more about the possibilities. The important thing is to be AWARE of what is available to you, and make a decision on using it that fits with your level of comfort! Happy SAFE computing from IT Larry! One of the most important jobs we have at Cobbwebs is protecting the MAIN thing that computers are used for: DATA!! Without it, there is very little need for computing in the first place! Proper backup is like insurance. You hope you never need it. But if you don’t have proper backup, then you stand to lose a lot if something does happen. The first copy is the original. Different formats can mean that you have a second copy on a different type of media, DVD, Server hard drive, external USB drive, etc. Off-site means at another physical location, which can include most recently what we call the Cloud. At Cobbwebs, we believe there is ANOTHER requirement. You need multiple versions of the data, meaning older versions from weeks and months ago. Because if you are only backing up data from today or yesterday, what happens if you need an older copy? So we have a Cloud backup offering that keeps versions for months. This is important because of the increasing possibility of ransomware and other viruses, and also, of course, when an older version is needed for other reasons. 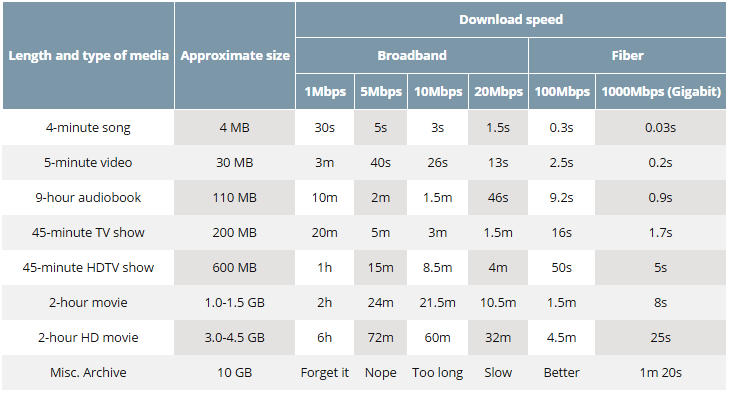 If you are trying to decide whether you want to continue with Microsoft Windows and you are reading this before July 29th – the end of free upgrade, then here is some information that may put it in perspective for you. If you have already upgraded to Windows 10 and are not happy, this will help also. There are actually are TWO alternatives, not just Apple, if you believe it is time to make a change from Windows now that Windows 10 is going to be the only choice with Microsoft for your desktop or laptop. If you are not tied down to Microsoft’s Office Suite, then Linux is now an option, since it has matured into a “do-able” alternative with a graphical interface and many software options, most all of which are Open Source and are free for the most part. Here are some links to articles that will give you an idea of what is required to move. Many people use all three (Android is a derivative of Linux). Cobbwebs provides backup for PCs, Laptops, and Servers that is Monitored by us. Some of our clients use it in addition to other backups they have, local external backup, free backup that comes with devices and software they own, etc. The difference CAN sometimes be quite significant. One client recently had a situation where all of the local copies of their accounting data had become corrupt. At least that is what the Intuit software indicated. Even re-installing the software and updating did not help. Fortunately, they were using our Monitored Cloud backup which backs up nitely, and keeps up to 90 days of versions. Turns out it was necessary to restore copies of the last 30 days of backups and start testing backwards in time until a non-corrupted version was found. Otherwise, we don't know what the solution would have been. Maybe the data could have been recovered by their accounting software company, but that might take a while, if possible at all. The backup recovery and finding the last good copy took a couple of hours and they were back in business! Call us, and we will cover your "back" up. Hey, it's on national TV! It MUST be true! 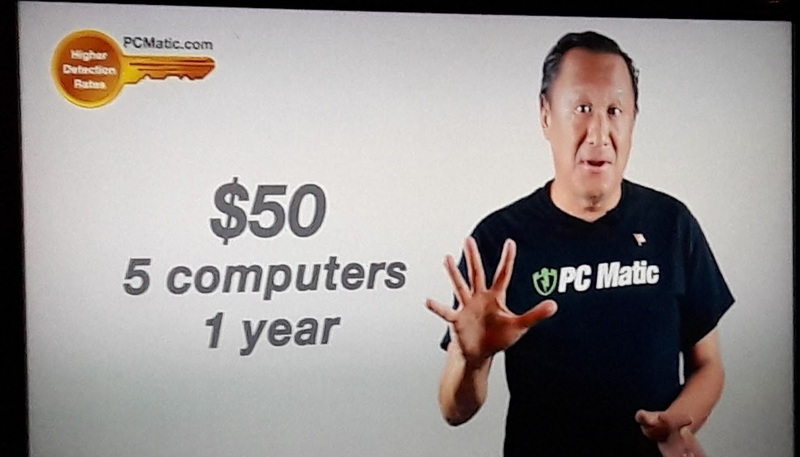 However, his recent appearances promoting PC Matic software have been less than stellar when it comes to TV Advertising. PC Matic is an anti-malware product that has mixed results, and claims made for it can be misleading. The ads are evidently successful, or PC Pitstop would not be plastering TV with advertising, which is not cheap! IT Larry has checked several times on some of the claims made on testing results, and they are just not totally accurate! So be careful what you depend upon for security, stability, and anti-virus protection on your PC. Stick with the brands you have heard of and verify for yourself which products have good testing results with OUTSIDE sources! Are you doing enough to keep your data safe in case some or all of it goes away?? What is backup, anyway? Why do I need it? What should I back up? Why should I pay for it, when I can get it FREE? What is the difference in Backup Plans? On line storage is not really the same as data backup. This applies to Microsoft One Drive, Dropbox, Sugar Sync, iDrive, Google Drive, iCloud, etc. These are online STORAGE places and they SYNCHRONIZE what is on your spot on their storage servers with what is selected on your computer. That can loosely be considered backup, but if you delete something locally, then it is deleted up there in the "cloud" as well. So you really only have your data in ONE place other than your computer, and only the LATEST copy of files is what is stored. Most of them give you maybe 2GB of space free and then start charging per GB (charged at a monthly or yearly price) after that. If you are already paying a monthly or annual fee for something else (like Microsoft Office 365 - Word, Excel, etc.) then they will throw in a bigger chunk of storage. So you still have the same issue... your data is only stored in one additional place other than your computer, AND only your latest copy of that data is being stored. If you are okay with that, then fine. If your local data disappears - hard drive crash, stolen, destroyed in fire, etc - and you are confident you can get it back from whoever has custody of it in the "cloud", then you are good to go. It may take a few days or a week to get it back after you fix the local problem, and you may have to get some tech help, if your storage company provides it. If you have your stuff stored on a local external drive (USB, Bluetooth, Network device) AND is stored in the "cloud,” then you have a safer situation. You can hopefully get it from your local external source if something goes away, and if not then from the cloud. The next level of protection for data storage AND backup is having a local external drive, usually on a server or a standalone box that is attached to your network, AND it is backed up to the cloud constantly as well. A good example of this are the WD Personal Cloud network storage devices, which have software built in that allows you to sync with an Amazon S3 cloud account, or Elephant Backup, or some other cloud storage option. This requires some expertise to set it up and manage it to make sure it is working. If you can handle that, that's even better. The managed backup systems that IT Larry manages go one step further, and that is to keep multiple VERSIONS of files going back in time from a couple of weeks to several months. So, if you lose one file or folder, it is possible to retrieve it from several weeks or months ago before it was deleted. In any event, this is food for thought on a very important item that many people blissfully ignore, until the time comes when they totally lose some important data that cannot be retrieved. How to keep Windows 7 and 8 stable and running. Be Careful what you click on, or install! Don’t get too fancy with software bells and whistles. · Overly aggressive and protective anti-virus. · Browser Add-ons. These can be good AND bad. · Software that is always running – look at the icons on the taskbar. · P.U.P.s – Potentially Unwanted Programs – these are installed when you install or click something that looks good, but ends up installing add-ons, utilities, etc. that you don’t want or need, with or without your permission. Watch your hard drive space! An almost full hard drive will slow down your computer. Running out could be a disaster. If your computer has one of the newer solid state drives, it may not have as much space as you think. However, if it is older than a year or two, it probably has a “SATA” drive, and they are very inexpensive now, so an upgrade to a new, larger hard drive is a no brainer. Keep your software updated! Generally, you should get all the Windows updates (at least the critical ones). That is true also for Adobe Reader, Flash, and Java updates because a lot of malware targets computers that are running older versions that haven’t been updated to the latest. Contact IT Larry for further information on this subject. What exactly IS Microsoft Office 365? Simply stated, it is Microsoft Office, hosted by Microsoft where the files are kept in their data centers, instead of in your office computers, or servers. Instead of BUYING it, you are RENTING it with monthly or annual subscription fees which could reduce your annual expense, and definitely increase your file and email safety. You can access it through the Internet with any web browser, and run Word and Excel without having to install anything on your computer. The files can be saved on your One Drive at Microsoft. If you pay a little higher subscription fee, you are given licenses to download and install Microsoft Office on up to FIVE “devices” that you own with no other cost than the monthly/annual per user fee. Microsoft upgrades your Office to the LATEST versions as they are introduced, no additional fees. Whereas with Microsoft Office that you PURCHASE, you are actually purchasing a LICENSE to install it and use it on one device. If a new version arrives, you must buy that to upgrade. 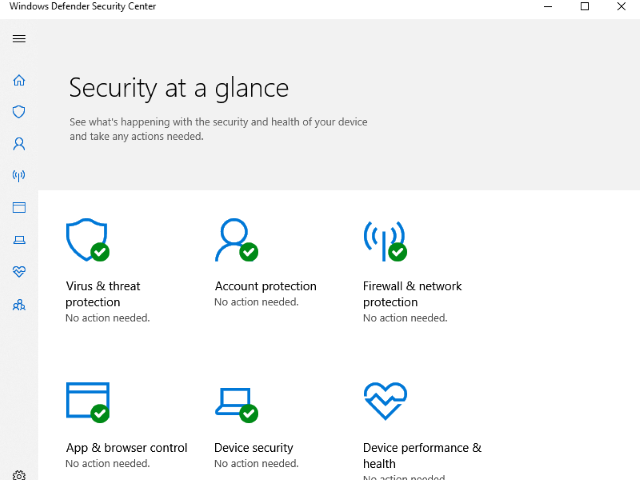 Microsoft has done a great job of making it secure, and easy for administrators to manage the back end, which is reached through web interface on the Internet. IT Larry can be your administrator and manage it for you, if you want. Effectively, this means you are using Microsoft’s Exchange Servers and storage for documents, spreadsheets, and Outlook email files. You no longer have to worry about LOCALLY stored Outlook fies. Contact IT Larry for information and help on this Microsoft solution. Desktops are definitely on the decline, as more and more people want to be mobile with their computing. However, productive business use of a Windows based computing device cannot easily be replaced by a tablet computer. Tablets are great for email, web browsing, social media, etc., but just cannot replace the larger screen, keyboard attached laptop or desktop for heavy mission critical computing. Especially since the predominant use of tablets is trending towards the 7-8” form factor, and away from the larger 10-12” form factor. Although it may be a lot more convenient having the computing device “in your pocket or purse,” It is just not possible to be as productive as sitting down with a keyboard and mouse at a table or desk for serious use of QuickBooks, Word, Excel, PowerPoint, etc. With its large unsold surplus of Surface tablets, Microsoft has already learned that lesson. I have had my Surface for almost a year now. I bought it on November 7th of 2012. I still have a full size laptop in my car for more intensive computing. What about you? What has been your experience?? Being the IT "nerd" that I am, my idea of protecting important data is to keep it totally separate from the outside world. Thus, I very rarely carry any information or data around on laptop, tablet, smart phone, or usb drive that I cannot afford to lose. However, that is not the norm. It does require more than one computer, and also several secure locations with redundant copies of the most important files. Most people don’t have that luxury. I recently was asked about encrypting data on laptops, and that caused me to do a bit of research and testing of encryption software in my office. There are tons of software packages out there for encrypting data. Some from companies you have heard of, and many you have not. Microsoft offers Bitlocker in Windows 8, and Windows 7 Ultimate version, but it really needs to be on a new computer that has that technology built into the hardware. Being a fan of open source, I focused on no or low cost versions. I have not spent a lot of time on it, but so far, two pieces of software appear that I would use, depending on the circumstances. Jon Jacobi, at PC World, published a review last October on DiskCryptor, which is easy to use and does the job by encrypting entire volumes on hard drives, usb drives, etc. Easy is the key word. He also mentions TrueCrypt the other one I would use if I really wanted to drill down to the folder and file level, with the option for hidden volumes, plausible deniability, etc. With a very well written 150 page user guide, it is definitely not for the casual user. Encryption requires a good backup plan, because without the password, you can consider the encrypted data totally lost. I was talking shop and trading war stories with an IT colleague this week. We were discussing Windows 8 when I mentioned that one on-line pundit said Windows 8 was a flop compared to previous versions of Windows, and that he was basing his argument on sales figures for Windows Vista and Windows 7 after their introduction, compared to sales so far of Windows 8. We were discussing security and protection against viruses, when she mentioned a security feature I was not aware of in Windows 8. I was aware that Microsoft Security Essentials - the anti-virus program from Microsoft - is now built into Windows 8. However what I did not know, that my colleague pointed out, is that MSE activates BEFORE the kernel of the Windows 8 OS is fully loaded. This is called the Early-Launch Anti-Malware (ELAM) feature. That means it is not possible for a virus to start running before the Windows 8 AV protection kicks in. This one feature alone may be enough reason to buy Windows 8! Especially if you are buying a new computer. There are lots of other reasons to consider Windows 8, especially if you are moving into the "touch" mode with smart phones and tablets, but still need the familiar "keyboard" and "software" to get your work done. At the TONIC meeting this morning there were about 25 people. A very diverse and lively group. I was one of three "IT" guys, not to mention others who specialize in websites, email marketing, search engine optimization, mobile marketing, and cash back online marketing. In the small-group and one-on-one conversations after the meeting, I realized that most people are now using two or all three of the mainstream software/hardware platforms: Apple, Google (Android), and Microsoft. Now, I am not the only one toting a Microsoft Surface tablet. There were two of those. There were several people who are using all three. In talking to them about various computer topics, almost everyone still has desktops back at the office, or laptops in the car that they did not need to bring into Capozzi's Deli for the meeting. What has happened is, there are MORE CHOICES for the end user, which is one of the great things about competition and living in America. I remember Bill Gates once mentioned at a presentation the concept of "co-opetition." What a great country! As one credit card advertisement says "What's in your wallet?" (computer case)? Finally an alternative to a Microsoft PC/Laptop! As a number of my IT aware friends know, I have had a mixed relationship with Microsoft over the years. This is probably because I was originally a Novell CNE starting out in the consulting business back in the 90's. In 1997, when I started hosting web sites and formed Cobbwebs, it was my decision to host them on Linux servers, instead of Microsoft servers. Since that time, I have learned to embrace both Microsoft and Linux as server platforms. On the desktop side, Linux has not been a good fit because it has required one to be a techie to understand how to get things to work. That dreaded "command line" method of installing new software and getting wireless networks to work has been a killer. Until now. Enter the latest releases of UBUNTU. Suddenly (actually it has been gradually developing for years), there is an alternative for those who are not enamored with spending their hard earned money on the next, latest and greatest version of Microsoft OS, or moving over to the "dark side" as one of my friends calls it - Apple. With UBUNTU, it is possible to use an older laptop or desktop and experience the speed of Linux, while not abandoning all of your Windows software. It IS possible to run Microsoft Office and a number of Microsoft based software programs right along with Google Chrome, Mozilla Firefox in a nice interface that is probably a lot easier to get used to than Windows 8. A small business owner could use existing hardware and build an entire network of PCs, laptops, and Servers and still use the older Windows XP versions of software that may not be compatible with Windows 7 or 8. Dell, HP, Lenovo, Acer, and Asus Desktops and Laptops are capable of using Ubuntu Desktop as a Microsoft alternative. The Ubuntu web site lists models of desktops and laptops that are Certified to work with Ubuntu. See the link HERE. Let me know what you think. Is it really time yet?